Gerald A. White Jr., M.S. Bhudatt Paliwal was born in 1938 in Khewra, a small village near Delhi, India. He received an MS degree in Physical Sciences and an MA in Philosophy from the Sri Aurobindo International Center of Education, Pondicherry. He won an International Atomic Energy Agency (IAEA) scholarship to receive training in the peaceful uses of atomic energy at the Bhabha Atomic Research Center, Trombay, India. As a Fellow of the IAEA, he received additional training in medical physics from Professor Leonard Stanton at the Hahnemann Medical College in Philadelphia, after which he completed Ph.D. from the University of Texas in Houston at the Graduate School of Biomedical Sciences, M. D. Anderson Hospital in 1973. He had the privilege to be mentored by Professors Peter Almond and Robert Shalek. 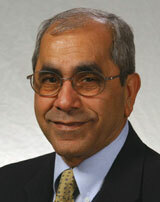 In 1973 Bhudatt moved to the University of Wisconsin in Madison as an assistant professor of Radiology. This proved to be a stimulating environment for him that nurtured his scientific and professional career; learning from and collaborating with such giants as John Cameron and Herb Attix. He is currently a tenured professor of Human Oncology and Medical Physics and the director of radiation oncology physics in the Department of Human Oncology. Here he has mentored and taught many highly placed medical physicist all around the world. Bhudatt has over 120 publications in refereed, scientific journals. He has been the editor, author or co-author of numerous books, chapters and AAPM monographs. His research and development interests have covered a wide range of topics that include: Tomotherapy, Time Dose Fractionation, Hyperthermia, Electron Arc Therapy and Quality Assurance. Bhudatt has stimulated scientific research by organizing numerous national and international conferences and workshops on topics of interest in Radiation Oncology. The five International conferences on Time-Dose-fractionation in Radiation Oncology resulted in monographs edited by him that have stimulated many new research ideas in medical physics, statistics, biology and radiotherapy. Other monographs edited by him have covered Hyperthermia, Electron beam dosimetry and quality assurance in radiation therapy. Bhudatt served as AAPM President in 1996. He consolidated a stable electronic age platform for the AAPM headquarters and his initiatives helped create the positive relationships and dialogue that in 2001 finally resulted in satisfactorily resolving the issue of two Boards for the certification of Medical Physicists. He was the Chairman of CAMPEP for six years and helped to include the Canadian College of Medical Physics as sponsoring organization. He is continuing to serve on several AAPM committees and is the chair of Education and Training of Medical Physicists. He is also AAPM's liaison to the European Society for Therapeutic Radiation Oncology. In 1999, Bhudatt also served as the President and Chairman of the American College of Medical Physics. He has been the Chief Editor of Medical Physics World and an AAPM delegate to the International Organization Of Medical Physics. Currently, Bhudatt serves as a Physics Trustee of the American Board of Radiology and as its Assistant Executive Director. 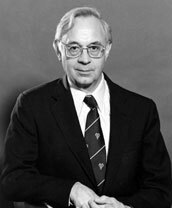 Amos Norman, following wartime service with the 101st Airborne Division, earned an MA in Physics (1947) and Ph.D. in Biophysics (1950) from Columbia University with the financial support of Atomic Energy Commission Fellowships, the GI Bill and a working wife. He spent his professional career at the University of California, Los Angeles where he was a co-founder of the Biomedical Physics Graduate Program and where he continues to teach, serve on committees and conduct research as Professor Emeritus of Radiation Oncology. He served from 1979-2000 as Associate Editor of Medical Physics. He is board certified in Radiological Physics and is a Fellow of the American College of Radiology and the American Association of Physicists in Medicine. His publications include multitarget and thermal spike models for cell survival, extensive studies of DNA and chromosome damage and repair in human lymphocytes, calculations of the therapeutic gain possible from the identification of radiosensitive patients, calculations and experiments on the radiation dose enhancement in tumors loaded with x-ray contrast agents, and experiments, calculations and clinical trials of the CTX, a CT scanner modified for use as a therapy machine, for treating spontaneous brain tumors in dogs and metastatic brain tumors in human patients. He is currently working with a group that is developing the CXS, a tunable source of monochromatic x-rays for medical imaging and radiation therapy, and is exploring the use of Raman spectroscopy for constructing molecular portraits of cells and identifying radiosensitive patients. Dr. P Bloch has made several contributions to medical physics. These include: (1) X-ray fluorescence analysis to assay in vivo heavy metals such as antimony, lead, mercury and uranium in individuals exposed to these substances in the environment or at the workplace, (2) using magnetic resonance parameters to distinguish between malignant and normal tissues, and to following these MR parameters during a course of radiotherapy, (3) unifying electron and photon dosimetry with a single dose calculation algorithm that used pencil beam energy deposition kernels for calculating the 3D-dose distribution for electron and photon beams. Recently his interest include using photostimulable phosphors and/or amorphous Si detector for digital acquisition of treatment fields in radiotherapy. Dan Bourland received his PhD degree in Medical and Health Physics from the University of North Carolina at Chapel Hill in 1990. He was Clinical Instructor from 1987 to 1990 in the Department of Radiation Oncology, UNC-Chapel Hill. From 1990 to 1995 he was Assistant Professor and Consultant, Division of Radiation Oncology, Mayo Clinic. In 1995 Dr. Bourland joined the Department of Radiation Oncology, Wake Forest University, where he is Head of the Physics Section and Associate Professor. Dr. Bourland's current AAPM service includes the Electronic Media Coordinating Committee (chair), the RTC Sub-com on Molecular Imaging in Clinical Radiation Oncology (chair) and AAPM appointments to AIP and IOMP. He is board certified by the ABR in Therapeutic Radiological Physics and serves as an oral examiner. Dr. Bourland has approximately 70 peer-reviewed papers, book chapters, abstracts, and proceedings, and an equal number of scientific and educational presentations. Peter Dunscombe's graduate education was in Physics and Nuclear Physics at universities in London, Birmingham and Hamburg. In 1974 he changed careers to medical physics at Charing Cross Hospital in London. In 1982 he moved to Winnipeg, Manitoba being appointed Director of Medical Physics there in 1986. 1990 saw a relocation to Sudbury, Ontario as Chief Physicist with academic appointments at Ottawa and Laurentian Universities. In 2001 Dr. Dunscombe relocated once more to Calgary,Alberta being appointed Director of Medical Physics and Professor at the University of Calgary. Over the years Dr. Dunscombe has had the privilege of teaching many medical residents, physics graduate students and residents and radiation therapists. He has also taken a strong interest in professional affairs having been President of the Canadian College of Physicists in Medicine and latterly joining the Board of CAMPEP. In addition he has published in many areas within and on the fringes of medical physics. Paul A. Feller received his MS in physics from the University of Cincinnati in 1970, after which he entered the Medical Physics Residency Program at Henry Ford Hospital, Detroit. After a stint as a CO in the USPHS Bureau of Rad. Health, he returned to UC and completed his PhD in 1980. After a Post-doctoral fellowship at UC Hospital, he began as a clinical physicist at the Jewish Hospital in Cincinnati in 1981, where he has supervised several graduate students and is still the Director Medical Physics. He has been very active in AAPM, currently most involved in the Summer School Subcommittee of the Continuing Education Committee. He has been active in the ACR and the ACMP, serving as Chair of the ACMP Board of Chancellors in 1995. He has served as President of local chapters of the AAPM and HPS. Dr Feller is holds certifications from the ABR in Medical Nuclear, Therapeutic Radiological and Diagnostic Radiological Physics, and from the ABMP in Radiation Oncology Physics. He is a Fellow of the ACMP. Doracy P. Fontenla received her Ph.D. from the University of Cuyo, Argentina. She was a Post Doctoral Fellow in the Department of Medical Physics at Memorial Sloan Kettering Cancer Center (1982-1984). She remained in the staff at MSKCC, until 1993,when she joined the Department of Radiation Oncology at Montefiore Medical Center/Albert Einstein College of Medicine, as Medical Physics Director. She is an Associate Professor at the College. Dr. Fontenla has dedicated extensive effort in teaching medical physics fellows and radiation oncology residents as well. Currently Dr. Fontenla is Associate Chief of Physics at the Long Island Jewish Medical Center. Dr. Fontenla has served in several AAPM committees and task groups. She also has been very active in the effort for obtaining Licensure for medical physicists in NY. Dr. Fontenla has published 27 papers in peer-reviewed journals, about 50 presentations in scientific meetings, nationally and internationally. Richard Geise is a medical physicist with twenty-five years of experience. He has Masters degrees in Physics and Radiological Sciences and a Ph.D. in Biophysical Sciences. He is ABR certified in Radiological Physics and a Fellow of the ACR. He has consulted for over a hundred medical institutions and industries. Experienced in all areas of medical physics, he currently specializes in imaging physics, safety and dosimetry. He is a Clinical Specialist and Associate Professor at the University of Minnesota, teaching medical, graduate, and x-ray technology students and radiology residents. He has acted as head of Medical Physics in the Radiology Department and Director of Graduate Studies in Biophysical Sciences. He has contributed to over forty publications and given many presentations in national and international venues. Dr. Geise has been active in several professional societies, serving on or chairing many committees, commissions and task groups, and is Associate Editor of RadioGraphics. Dr. Glasgow was born February 8, 1944 in Lebanon, Ky. He received his B.S. degree in 1965 at Western Kentucky State College, Bowling Green, Ky and his M.S. & Ph.D. at the Univ. of Kentucky, Lexington, Ky in 1969 and 1974 respectively. He served at the Washington University School of Medicine from 1974 to 1985 where he finished as Associate Professor of Radiation Physics. He has served at Loyola University Stritch School of Medicine since 1985 and is currently Professor and Head of the Division of Medical Physics. He resides with his wife and daughter in River Forest, Il. Allen F. Hrejsa received his PhD degree in low energy nuclear physics from the University of Notre Dame in 1972. He then completed a NIH postdoctoral research fellowship in Medical Physics at M.D. Anderson Hospital. 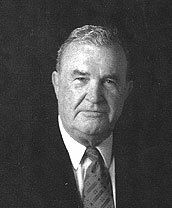 In 1973 Dr. Hrejsa went to Springfield, IL where he served as Director of Medical Physics for two hospitals and the SIU School of Medicine. After becoming Board Certified by the American Board of Radiology in 1976, he worked at Fermi Lab's Neutron Cancer Care Facility conducting research and providing patient care. Currently, Allen is the Director of Medical Physics at Lutheran General Hospital in Park Ridge, IL. Dr. Hrejsa is an active member of the AAPM, having served as Chairman of the Ethics Committee, President of the Midwest Chapter, and various other committees positions. He chairs the Governor's Radiation Protection Advisory Board for the State of Illinois. Willi A. Kalender received his Ph.D. in Medical Physics from the University of Wisconsin, in 1979. In 1988 he completed all postdoctoral lecturing qualifications for Medical Physics at the University Tübingen. From 1979 to 1995 he worked in the research laboratories of Siemens Medical Systems in Erlangen, Germany (1988 to 1995). In 1991, Dr. Kalender became Adjunct Professor of Medical Physics at the University of Wisconsin. In 1995 he was appointed full professor and director of the newly established Institute of Medical Physics at the Friedrich-Alexander-University Erlangen-Nürnberg, Germany. His main research interests lie in the area of diagnostic imaging, the development and introduction of volumetric spiral CT was a particular focus. Other fields of research are radiation protection and the development of quantitative diagnostic procedures. He has published a textbook on Computed Tomography and more than 400 papers, published in international scientific journals. Robert W. Kline received his Ph.D. degree in Solid State Physics from Wayne State University in 1974. After completing a Medical Physics Fellowship at Rush-Presbyterian Medical Center, he joined the Department of Radiation Therapy at the Medical College of Wisconsin. In 1986, he joined the Division of Radiation Oncology at Mayo Clinic, Rochester, where he is currently an Associate Professor of Radiological Physics and a member of the Mayo Graduate School Biophysics Faculty. Dr. Kline is co-author of 46 papers in peer-reviewed journals, as well as numerous abstracts and presentations. He was responsible for organizing the design and fabrication of the I-125 eye plaques employed by the Collaborative Ocular Melanoma Study, as well as by many institutions outside the study. In collaboration with other individuals and groups, he has been involved in defining quality assurance guidelines and certification methods for the Collaborative Ocular Melanoma Study and for Stereotactic Radiosurgery. Mary Ellen Masterson-McGary received her M.A. in Physics from Columbia University, and her M.S. in Radiological Physics from Cornell University. She began her career in the Northeast Center for Radiological Physics in Dr. John Laughlin's Medical Physics Department at Memorial Sloan-Kettering Cancer Center. She held appointments to the Medical Staff at MSKCC, and to the faculty of Cornell University Medical College. After marriage to her loving husband Randy and the birth of their wonderful daughter Katie, she accepted a position as the Chief Physicist at Holmes Regional Medical Center. She is certified by the American Board of Radiology and the American Board of Medical Physics. She has been active in numerous professional societies including AAPM, ABMP, ACMP and NCRP. She has served as President of RAMPS and of the Florida Chapter of the AAPM. She currently sits on the Radiation Therapy Committee, on the AAPM Board of Directors, and on the Board of Chancellors of the ACMP. Yakov Pipman moved from Buenos Aires to Israel at the age of 15. Dr. Pipman got his Ph.D. in Physics at the Technion. After a Postdoc at MIT and teaching Graduate Physics at Montana State University, he entered Medical Physics as a Postdoctoral Fellow at MSKCC, fulfilling a desire to use Physics for the benefit of patients. Later, he joined MSKCC's Medical Staff. In 1985 joined the new Department of Radiation Oncology at LIJ as Chief Physicist, where he promoted advanced techniques and the highest standards of care. Consistently bolstered the Medical Physics profession, serving as President of RAMPS, working for Licensure, promoting continuing education and quality. He is a Fellow of the ACMP and a diplomate of the ABR and the ABMP. Served on several expert missions for the IAEA and assisted in the development of Medical Physics in Israel and in Latin America through lectures, courses, visits and sponsorship of colleagues. Currently he is Chair of the Latin American Affairs Subcommittee. Thomas Potts has been a practicing Medical Radiation Physicist for 20 years with experience in therapy, imaging, and radiation safety. He is board certified through ABR (Therapy, 1987) and the ABMP (Radiation Oncology Physics, 1991). In addition to AAPM, Mr. Potts is a member of the Cascade Chapter of the Health Physics society, a member of Sigma Pi Sigma (national physics honor society), and a member of Rotary International. Over the course of his career he has held faculty appointments at Loma Linda University, California State University at Long Beach, and currently has an appointment as assistant professor in the graduate faculty of the School of Nuclear Engineering, Oregon State University. His educational background includes a B.S. in physics, an M.A. in teaching physics with emphasis in reactor physics, and an M.S. in medical physics. Developmental work includes intraoperative electron beam treatment delivery systems and electron are therapy on the Philips SL20. Robert E. Rice, III, M.S. Following award of a masters degree in medical physics from the University of Kentucky in 1975, Robert E. Rice has served as medical physicist for Hartford Hospital, as Chief Radiation Physicist since 1977, as Director of Radiation Oncology and Medical Physics Services since 1983, as the administrator for the Hartford Hospital Cancer Program since 1990 and as Director of Imaging Services from 1997-2000. Certified by both the ABR and the ABMP, he has been active in professional organizations, notably the ACR Radiation Oncology Practice Accreditation Program. He has served the AAPM as Placement Service Director, on committees and task groups, as regional AAPM chapter President and as a member of the board of directors. He is currently a Chancellor of the American College of Medical Physics. His current interests are in improvement of patient care through full integration of diagnostic and therapeutic technologies and in creating new delivery systems based on self-directing teams. Almon Shiu received his Ph.D. from the University of Texas Health Science Center at Houston Graduate School of Biomedical Sciences (UTGSBS) in 1988. He remained at UTMDACC, after his graduation, where he is now Associate professor of the Radiation Physics Department and leader of the measurement dosimetry and LINAC technology group. Dr. Shiu's research in electron beam transport and clinical application and in SRS lead to the development of Tungsten eye shield for electron beam treatment and the miniature multileaf collimator for SRS/SRT. Both products were awarded USA patents. Dr. Shiu has served in many capacities in AAPM. He and Dr. Mellenberg were the co-coordinators for AAPM YR 2000 Summer School. Currently Dr. Shiu is the chair of the Technology assessment subcommittee. He is board certified by the ABR in TRP and the ABMP in Radiation Oncology Physics. He has also actively participated in ASTRO and the CAMP credited MS/PhD graduate program at the UTGSBS. Following masters degree training in physics and medical physics at the University of Wisconsin, Dr. Simpkin joined St. Luke's Medical Center, Milwaukee, in 1979 as diagnostic physicist, physics instructor, and RSO, positions still held today. He was certified by the ABR in 1986, and completed his Ph.D. in Medical Physics from UW in 1991. He has actively consulted to Milwaukee-area medical institutions in diagnostic and mammography physics for the past two decades. Dr. Simpkin has a keen interest in diagnostic x-ray shielding, leading to publication of a number of research papers, appointment to AAPM and NCRP committees, and numerous lectures and refresher courses on the subject of shielding. Dr. Simpkin has endeavored to share with his fellow physicists computer-based solutions to diagnostic physics problems, including shareware programs to calculate shielding requirements, patient entrance skin exposures, and generate mammography physics survey reports. Palmer Steward received a PhD from UC Berkeley in 1968. During postdoctoral fellowships at Berkeley and Stanford, he entered physics in medicine as a radiation physicist hoping to contribute to cancer therapy by modeling cell kinetic and survival responses to radiation and drugs. He then spent 7 years at Washington University teaching and developing computer models of proliferating cell systems, after which he returned to radiation physics as a clinician. Following clinical training at Washington University, he spent 10 years at the St. Louis VA Medical Center and St. Louis University. In 1987 he moved to Iowa where he focused on demonstrating the role of clinical physics to several radiation centers and skeptical administrators who were accustomed to seeing a physicist only for machine calibrations. Most of these centers now employ at least one full-time physicist. Dr Steward believes that his contributions have been more gratifying than conspicuous. Larry Sweeney received his M.S. degree in Radiologiocal Physics in 1976 from Carnegie Mellon University while working as a Junior Physicist at St. Francis Medical Center. In 1978 he was certified by the American Board of Radiology un Radiological Physics and went on to complete his Ph.D. from the Univercity of Pittsburgh in 1981. During that time and subsequently, he has been involved in teaching and training of Radiologists, Physicists, Dosimetrists and Radiation Therarists. Dr. Sweeney has served as an Officer of both the Penn-Ohio Chapter and the Northwest Chapter of the AAPM. Currently he serves as the NW Chapter representative of the AAPM Board of Directors and as the Chair of the Subcommitee on Training and Practice of Medical Dosimitrists. In 2000 he finished two terms on the Medical Dosimetry Certification Board. He Is also active on the Physics Economics Commitee of the American College of Radiology. Since July 2001, he has become the President of Northwest Medical Physics Center near Seattle, Washington. Marcia M. Urie received her M.S. from Cornell University and her Ph.D. from the University of Florida. Her career started at the Royal Marsden Hospital (London, England), took her to the Ministry of Health (Jamaica), Maine Medical Center (Portland, ME), and St. Vincent Hospital (Worcester, MA). In 1980 she joined the proton therapy physics group at Massachusetts General Hospital (Boston, MA). From 1994-1999 she was Director of Medical Physics at the University of Massachusetts Medical Center (Worcester, MA). Since 1995 she has been Director of Physics at the Quality Assurance Review Center (Providence, RI) which oversees the quality of radiation therapy for NCI sponsored clinical trials. She is a Professor of Radiology at the University of Massachusetts Medical School and has more than 70 publications. She has been active in the NEAAPM, AAPM, RSNA physics program, several NCI sponsored collaborative groups, and national clinical trials cooperative groups. After completion of a Ph.D. degree in high energy particle physics from the University of Illinois in 1968, Dr. Verhey served as an Assistant Professor at UCLA and at Harvard, working on high energy experiments at LBL in Berkeley and at Fermilab near Chicago. In 1975, he entered the field of medical physics by taking a position at Massachusetts General Hospital and Harvard Medical School, doing research on the use of protons in cancer patients. Between 1978 and 1990, he served as Head of Clinical Physics for Proton Therapy at MGH. In 1991, he left Boston to take a position as Chief of Physics in the Department of Radiation Oncology at the University of California, San Francisco where he is currently a Professor and Vice-Chair of the Department. He was responsible for clinically implementing Intensity Modulated Radiotherapy at UCSF with a variety of delivery methods. He is certified by the ABR and has authored or co-authored more than 100 papers in peer-reviewed journals. Cedric Yu received his D.Sc. degree from Washington University in St. Louis in 1989. Upon graduation, He was employed by Siemens Medical Laboratories for 3 years as a medical physicist and project manager. From 1992 to 1997, he was hired as a clinical physicist at W. Beaumont Hospital. He joined University of Maryland at the end of 1997 first as Assistant Professor and later as Associate Professor, serving as Director of Medical Physics. He served as a member in TG50. He is currently serving in the IMRT subcommittee of the RTC in AAPM and in the Physics Committee of ASTRO. He is board certified by the ABMP. He is a member of American College Medical Physics. Cedric Yu was a PI on one NIH grant and 2 industrial grants. He has published 33 papers in peer-reviewed journals, 1 book chapter and 1 scientific report. He also has over 40 published abstracts. He supervised 9 postdoc fellows and initiated an accredited dosimetrist training program. Eric Zickgraf received his Ph.D. degree from Rush University of Chicago in 1996. He began practicing medical physics at St. Francis Hospital, Evanston, IL in 1980 and became the Director of Medical Physics at The Community Hospital, Munster, IN in 1992. He is also an associate of Hubbard, Broadbent & Associates, Ltd. Dr. Zickgraf is board certified by the ABR in Therapeutic Radiological Physics and Diagnostic and Medical Nuclear Physics and is a Fellow of the ACR. He has served as the president of the Midwest Chapter of the AAPM and the Midwest Chapter of the Health Physics Society. He is active in the AAPM. He has taught at National Lewis University, The University of Health Sciences/The Chicago Medical School, and Indiana University Northwest. Born in Cleveland, OH, Jack received a BS in mathematics and chemistry at Western Reserve University in 1943. In 1946, upon completion of three years in the military, Jack married Doris Elaine Lyman who survives him, along with two of their three children, Jack and Candace (their eldest, Karen, died a few months before Jack). He is also survived by nine grandchildren. Jack's MA in physics was earned at Western Reserve in 1947 where he then worked for 10 years as Leader of the Physics Section, Atomic Energy Medical Research Project and Chief Physicist at University Hospitals of Cleveland while completing two years of medical school as partial requirements for a doctoral program under Earl Gregg at Case Institute. Jack was certified by the ABR in 1950 and later by the ABHP and the ABCE. He served several years on the Health Physics Board and was an Examiner for the ABR for 32 years, rising to Chairman of the Physics Committee and a Member of the Board of Trustees. In 1957 Jack moved to Parkland Memorial Hospital (Dallas) as Chief Physicist and completed his PhD in 1961 at the University of Texas. 1963 saw him moving to Roswell Park in Buffalo, NY with a joint appointment at SUNY. In 1966 he became Associate in Physics at the Geisinger (PA) Medical Center and Visiting Professor of Physics at Bucknell University. Six years later he joined Radiology Associates of Erie (PA) and served for three of his seven years there as President of the Erie Clinic. Jack moved to Wayne State University in Detroit in 1979 as Professor and Director of the Radiation Physics Graduate Program. Jack initiated the AAPM Placement Service and operated it for 14 years. He was dedicated to recruiting young physicists, elevating the professional level of all medical physicists and to strengthening the bond between physicists and physicians. He worked tirelessly within the AAPM (President in 1974), the ACR, the RSNA, the ARRS and several other professional and scientific societies. He received two gold medals and the Coolidge Award in recognition of his achievements only a few of which are catalogued herein. Excerpted from: Medical Physics 28 (10): p. 1997, October, 2001, and Radiology 221 (2): p. 562, November, 2001. Lawrence H. Lanzl (Larry to all his friends and colleagues) was born in Chicago and grew up in Highland Park, Illinois. Both his parents had come to the United States from Germany. His interest in science led him to major in physics at Northwestern University. After graduation, he joined the Manhattan Project, working first in Chicago and then at Los Alamos. He returned for graduate study in physics at the University of Illinois. It was there, while he did research on the betatron, that he became interested in the biomedical applications of the physics of radiation. After a brief stint at the Argonne National Laboratory, Larry came to the University of Chicago, where he worked as a medical physicist with Dr. Lester Skaggs. He was active in the design of a cobalt-60 radiation therapy unit and of an electron linear accelerator, before such machines became available commercially. Both were in service to patients for many years. He was instrumental in establishing a program of graduate study in medical physics, one of the first such programs in the country. He also served as a consultant on medical physics in various countries and as President of the AAPM and the IOMP. After becoming a professor emeritus at the University of Chicago, he continued to be active, heading the medical physics program at Rush-Presbyterian-St. Luke's for a time. His professional life became limited by several bouts of cancer, but he never faltered in his support of and enthusiasm for his chosen field. He was delighted when the Lanzl Institute in Seattle was named in his honor. However, if you had asked him what he considered to be his greatest professional achievement, I am absolutely sure he would have responded as he did when he received the Coolidge Award "...to improve people's health, and establish the profession of medical physics, and by doing these things, to make the world a little more civilized. for their paper entitled "High resolution gel-dosimetry by optical-CT and MR scanning," Med. Phys. 28 (7) 2001, pp. 1436 - 1445.
for their paper entitled, "Detection of tumorigenesis in rat bladders with optical coherence tomography," Med. Phys. 28 (12) 2001, pp. 2432 - 2440.